The VedahloHD Palermo Glasses feature VedaloHD's innovative Stritanium frame. Their Stritanium or SSSti frame is made from Surgical Stainless Steel infused with Titanium for super strength. It is also very durable with no screws in the temple to ever loosen, all this brawn along with great looks weighs in at less than one ounce - a mere 18 grams (0.63 ounces). VedaloHD has finally found a frame technology advanced enough to compliment our revolutionary lens science that improves your vision. The Stritanium Palermo is a semi rimless design is perfect for small and medium size faces. It is made with our ultra lightweight and indestructible Stritanium frame material. This beautiful classic oval has delicate cutouts to make that eye catching yet elegant statement that you are wearing the best sunglasses available on the market today! 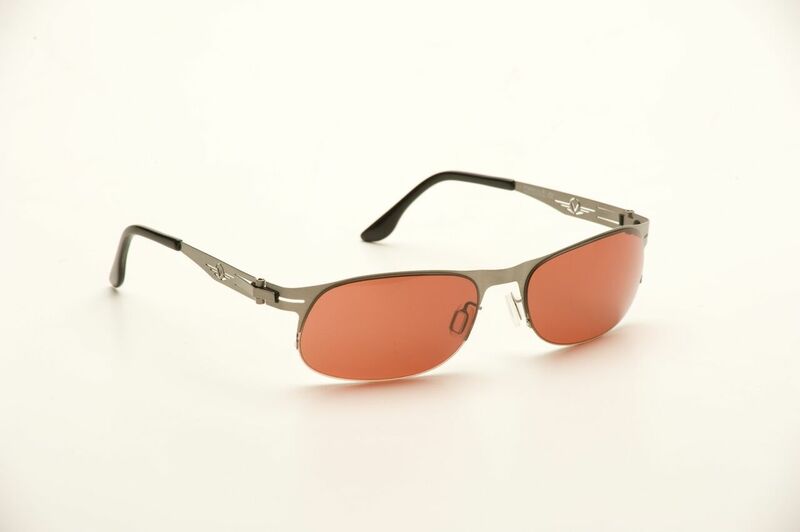 Stitanium Silver Frame with SolarMax Copper Rose Lens. Includes a felt-lined smash proof clamshell case and a microfiber cleaning cloth.